It is now time to see the mobile device as a superior endpoint, rather than just an alternative one. "Mobile-first" is a term we hear a lot in enterprise communications, and like many terms in technology its meaning has evolved over the years. The term mobile-first started to appear in 2008 following the launch of the iPhone. It represented a new approach to mobile app development. Instead of creating apps that were effectively light versions of desktop applications, mobile-first called for developers to start with the mobile client, and port a light version for the desktop. Prior to mobile-first, the desktop -- offering a large screen and full keyboard -- was where all the users were. Desktop clients could make or break software applications. It took a while to conceptually see a mobile device as a more powerful option than a desktop, but it happened. A quick look at computer sales makes a strong case for mobile-first. In 2016, 269.7 million PC units were shipped, Gartner reported, which represents a 6.2 percent decline over 2015. In fact, PC sales have been declining since 2012, and Gartner's recent 2Q17 report marks the 11th consecutive quarter of declines in PC shipments. Now compare that to another recent Gartner report estimating smartphone sales at 1.5 billion units in 2016 -- a 5% increase over 2015 -- and the trend away from the desktop toward mobile is abundantly clear. These numbers substantiate mobile-first in terms of market size, but more importantly, mobile devices are changing how, when, and where we work and communicate. It's no longer just a matter of which app gets developed first, but how to maximize productivity. Look to UC presence as an example of how the smartphone has changed the way we work. Before the iPhone, presence was equated with keyboard activity. The thinking was that it meant a person was at their computer, likely in their office and available. Though using perhaps questionable logic, it actually worked surprisingly well. The concept of presence never adapted well to mobile because we always had our phones with us. Presence and availability became disassociated. Even messaging apps, which are largely considered a mobile-first class of applications, tend to use read receipts instead. In fact, the rise of messaging is directly related to the mobile-first shift. Previously, when we left our office, our phone line would ring and forward to voicemail. Now that we keep our phones with us, unanswered calls have become disruptive. As a result, sending a message is often considered more polite than calling. 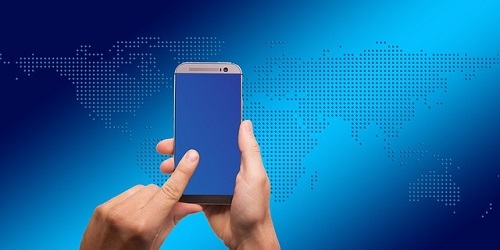 Mobile-first has expanded into a general acknowledgement of mobility. It's not enough to develop for iOS or Android first; developers must understand a broader set of use cases. Smartphones have numerous sensors that desktops didn't that can improve usability or context. Smartphones can detect location, light, noise level, angle of use, motion, and more. Mobile apps can use many of these sensors together. Location, for example, can be determined with data from GPS, Wi-Fi, cellular, and Bluetooth. Mobile-first also means multiple devices. For example, conversation history and sent/received messages should be consistent across the same app on all devices. We take this stuff for granted today, but it wasn't always so seamless. Recently there's been a shift away from the traditional app model as users are becoming increasingly selective about installing apps, not to mention the fact that many enterprise management systems lock down user app installation., As a result, mobile-first now has to work around "app-fatigue" and enterprise restrictions by offering alternatives to full clients. One option is to create rich, comparable experiences through the mobile browser. Google Maps and Evernote are examples of apps that provide near identical experiences via apps and browsers. Another alternative app model is designing apps that work with multiple services. A good example is the email client, as it can work with multiple services. Yet another approach is Android Instant Apps. Introduced in 2016, Instant Apps show aspects of their programs within the Google Play store without requiring installation. Although Instant Apps requires Android 6 or newer, Google recently announced 500 million devices can run Instant Apps. Ironically, mobile-first is moving into the desktop space, too. Apple positions its iPad Pro as a laptop replacement. It's an iOS device that offers a reasonable screen, processor, and keyboard. It's causing a steady increase in mobile app functionality. For example, Google updated its G-Suite mobile apps to provide comparable functionality as its desktop browser version. The mobile-first journey will continue to evolve. Contact centers will use biometrics instead of a mother's maiden name for authentication. Insurance companies are now allowing callers to use their smartphone cameras to assess damages and file claims, and healthcare professionals will soon use smartphone sensors to diagnose their patients. It is time now to see the mobile device as a superior endpoint, rather than just an alternative one. Mobile devices are here to stay, that is until we leave and take them with us.